Pori is a city and municipality on the west coast of Finland. 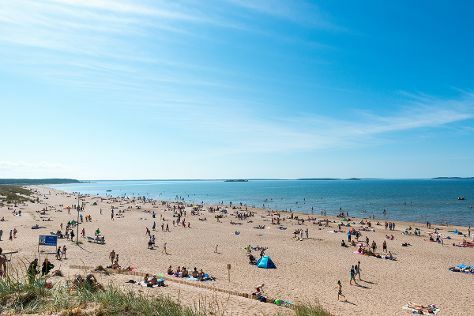 Start off your visit on the 2nd (Fri): take in the architecture and atmosphere at Central Pori Church (Keski-Porin kirkko), view the masterpieces at Pori Art Museum, and then tour the pleasant surroundings at Yyteri Beach. To see reviews, maps, where to stay, and other tourist information, read Pori trip planner. Minsk, Belarus to Pori is an approximately 17-hour car ride. You can also fly. You'll gain 1 hour traveling from Minsk to Pori due to the time zone difference. Prepare for slightly colder weather when traveling from Minsk in August: high temperatures in Pori hover around 22°C and lows are around 12°C. Finish up your sightseeing early on the 2nd (Fri) so you can go by car to Turku. Kick off your visit on the 3rd (Sat): contemplate in the serene atmosphere at Turku Cathedral, explore the historical opulence of Turku Castle, and then make a trip to Naantali Old Town. 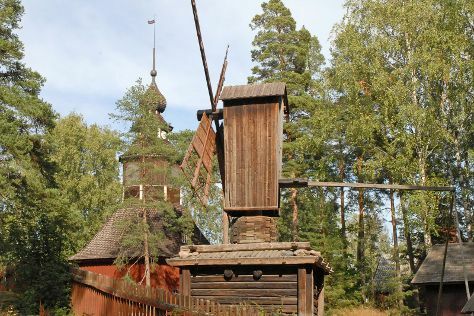 Here are some ideas for day two: enjoy the sand and surf at Ispoinen Beach and Sauna, then see the interesting displays at Luostarinmaki Handicrafts Museum, and then see the interesting displays at Aboa Vetus & Ars Nova. For reviews, more things to do, where to stay, and tourist information, go to the Turku trip itinerary builder site . Traveling by car from Pori to Turku takes 2 hours. Alternatively, you can take a bus; or take a train. In August, daytime highs in Turku are 23°C, while nighttime lows are 12°C. Cap off your sightseeing on the 4th (Sun) early enough to travel to Mariehamn. Mariehamn is the capital of Åland, an autonomous territory under Finnish sovereignty. 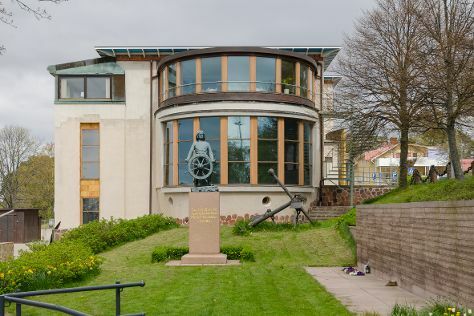 Kick off your visit on the 5th (Mon): see the interesting displays at Museumship Pommern, brush up on your military savvy at Aland Maritime Museum, then see the interesting displays at Kastelholm Castle, and finally take a leisurely stroll along The Maritime Quarter. To see maps, other places to visit, and more tourist information, read Mariehamn trip planner . Fly from Turku to Mariehamn in 2 hours. Alternatively, you can ride a ferry. In August, daytime highs in Mariehamn are 22°C, while nighttime lows are 13°C. Cap off your sightseeing on the 5th (Mon) early enough to travel to Helsinki. Kick off your visit on the 6th (Tue): admire the striking features of Rock Church, get engrossed in the history at Seurasaari Island and Open-Air Museum, step into the grandiose world of Sea Fortress Suomenlinna, then contemplate in the serene atmosphere at Uspenskin Cathedral (Uspenskin Katedraali), and finally take in the architecture and atmosphere at Helsinki Cathedral. You can fly from Mariehamn to Helsinki in 3 hours. Alternatively, you can do a combination of flight and train; or do a combination of flight and bus. In August, daily temperatures in Helsinki can reach 24°C, while at night they dip to 13°C. Cap off your sightseeing on the 6th (Tue) early enough to travel back home.